Emulator is software that allows to execute programs, which were not originally dedicated for that platform. In other words it is a program, that copies behavior of other systems or old gaming consoles and allows to run programs and games, which has been made for those other platforms. Nowadays there are emulators developed not only for personal computers or MACs. Emulators are very popular amongst Linux users, as it originally has very poor gaming support. There are some emulators made for gaming consoles like Sony's PlayStation, Microsoft's Xbox 360 and One or Nintendo's Wii. 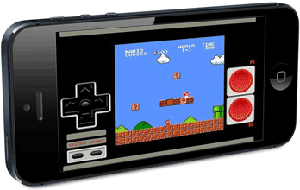 Today even cellphones has became powerful enaugh to emulate the simpliest of old gaming consoles like NES, SNES, FamiCom, Sega Genesis, Mega Drive and GameBoy (Color, Advance). Some of the most powerful Android devices and iPhones are even able to emulate PlayStation games.